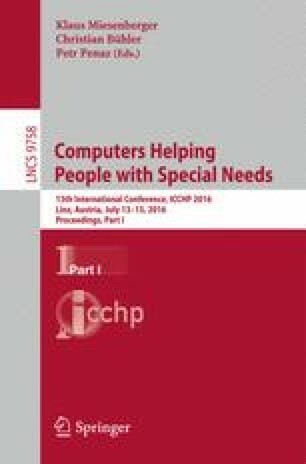 Although many computer games have recently become diversified, plenty of effort and ingenuity is needed to produce games that persons with a total visual impairment can enjoy. Though some games for visually impaired persons have been developed, games that use only auditory information present challenges for sighted persons. Moreover, unfortunately, it is still difficult for visually impaired persons to play the same game with sighted persons and for sighted and visually impaired persons to share a common subject. To solve this problem, we developed a barrier-free game that both sighted and visually impaired persons can play using their dominant senses including visual, auditory and tactile senses. Moreover, we developed a map editor for a game developer with blindness and provided an integrated game development environment for them. In this paper, we describe the development and reflections of the barrier-free game and the map editor. This work was partially supported by JSPS KAKENHI Grant Numbers 26285210, 15K04540, 15K01015.